LIN to CAN bus/RS-232 Converter - MACH SYSTEMS s.r.o. We offer the LIN to RS-232/CAN bus Gateway, a converter between a LIN bus and RS-232/CAN bus. The device is available in two versions: LIN-RS232 a LIN-CAN. 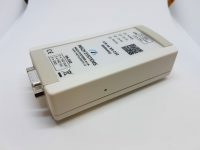 The converter bi-directionally connects a LIN network to either a RS-232 or a CAN network. Source code examples can be provided on request enabling the user to develop a custom application. The firmware can be downloaded into a device over a CAN or RS-232 embedded bootloader (a PC flashing application is supplied, too). The device can be used to gateway LIN protocol to CAN or RS-232 communication. A typical example is a HiL tester where the LIN bus of a tested electronic device needs to be connected to the main PLC of an assembly line. The converter can be used on a table and can also be mounted on a DIN rail. Get the LIN2CAN/RS232 Data Sheet or check out the Technical Specification. LIN bus is a network with Master-Slave topology based on a standard serial communication (UART). Even the cheapest microcontrollers usually support the LIN protocol in nowadays. The LIN bus is a cost-effective network and is also very slow compared to the CAN bus. The LIN Baud rates are usually 9600 – 19200 Baud. Thanks to low costs, the LIN communication is mainly used in the automotive industry – low-speed communication between ECUs, sensors and actuators. A typical example is mirror, window, roof top, or headlamp modules.